Southwold Railway, Suffolk. Underbridge on the A12 road at Blythburgh. Viewed towards the estuary. 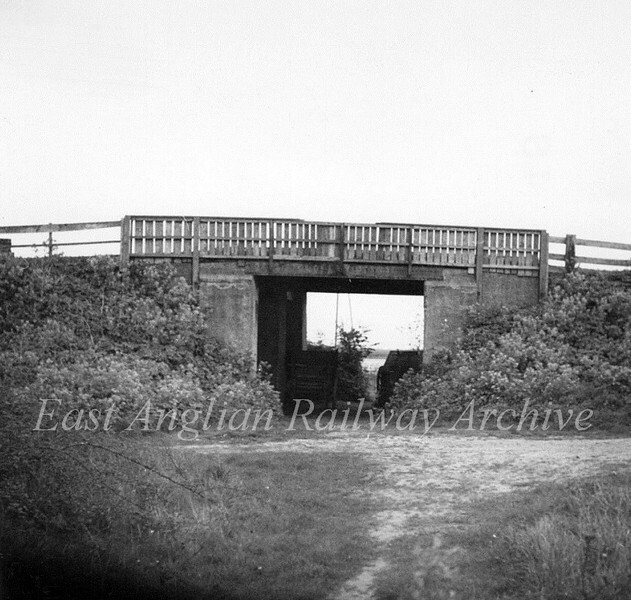 The line closed on 11th April 1929 and ran from Halesworth on the East Suffolk Line. The bridge was demolished in 1961. Photo Brian Leighton.